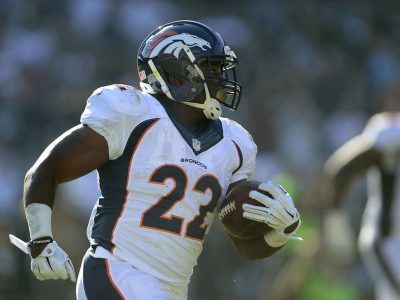 Week 13 brought much to excite for a team that has lost three All-Pros over the past three months. 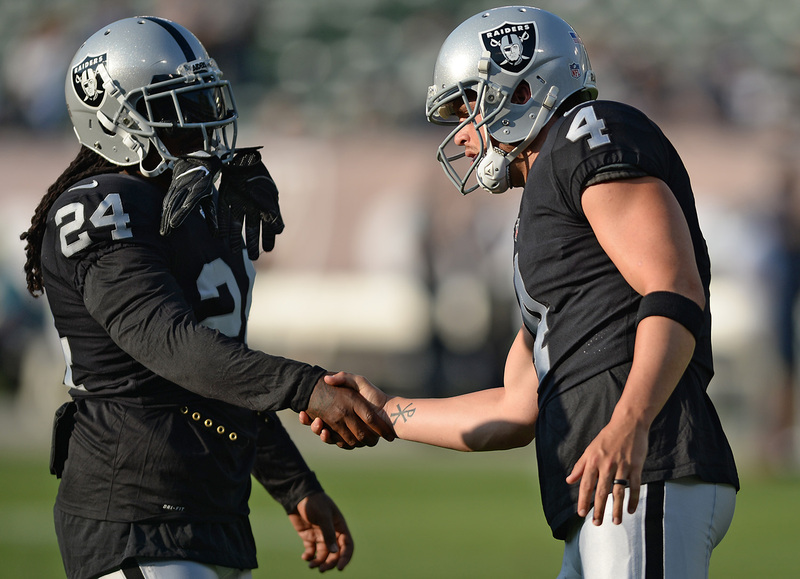 In their first game of the post-Amari Cooper era, the passing game was far from the problem for the Raiders. 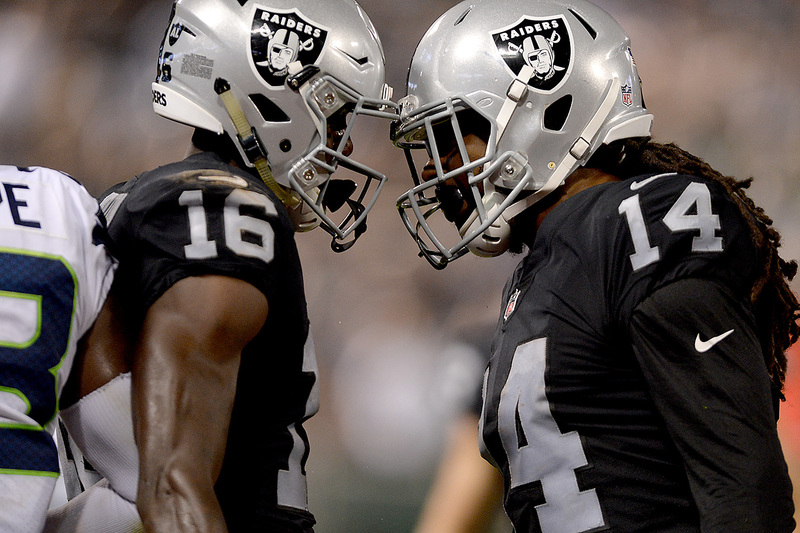 The Raiders have made the playoffs just once in the last 15 years. 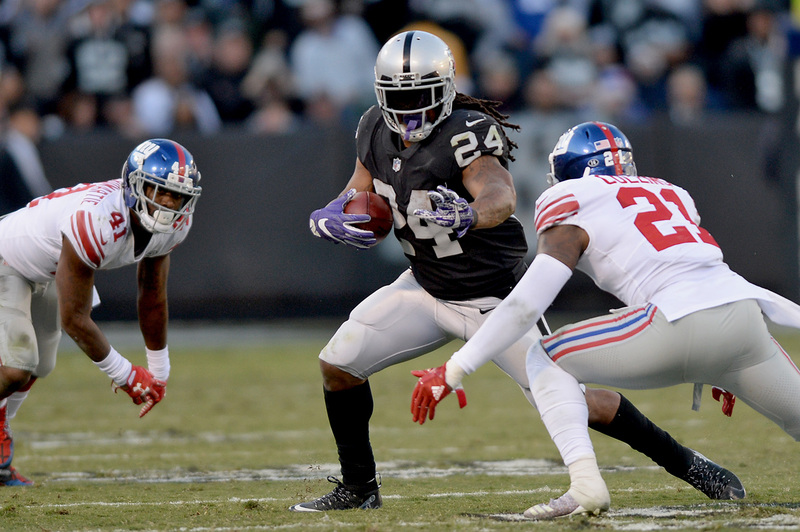 The Raiders have apparently begun piecing together a back-up plan should they be without 2017 leading rusher Marshawn Lynch moving forward. The dumpster fire campaign came to a merciful end Sunday with a 30-10 throttling at the hands of the playoff hopeful Chargers. 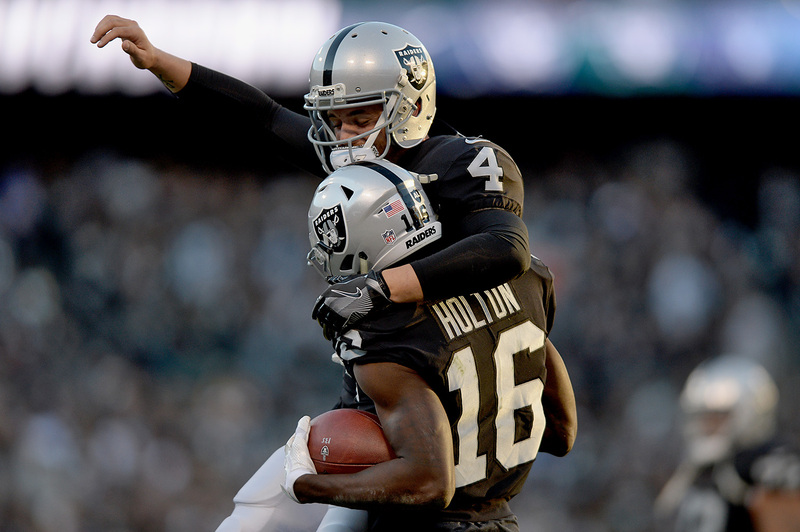 Playing for nothing more than pride, the Raiders showed very little in Philadelphia Monday night. 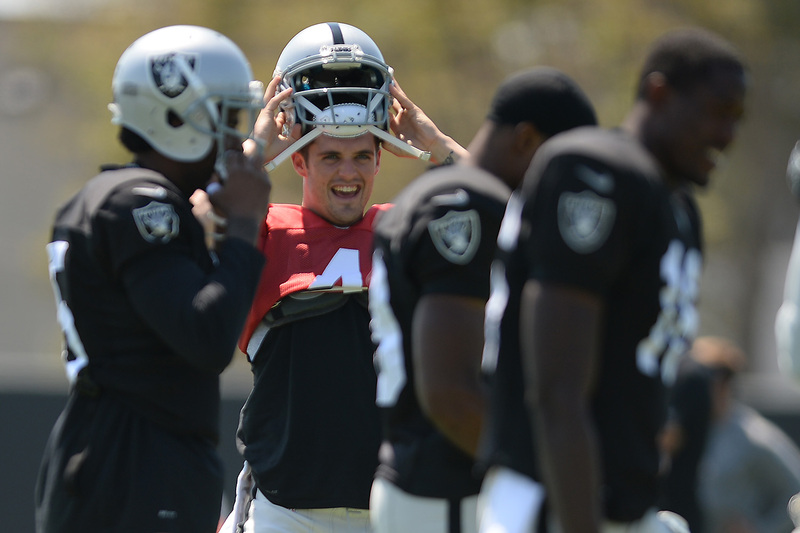 Derek Carr: "There is no easy way to put this one. We sucked." 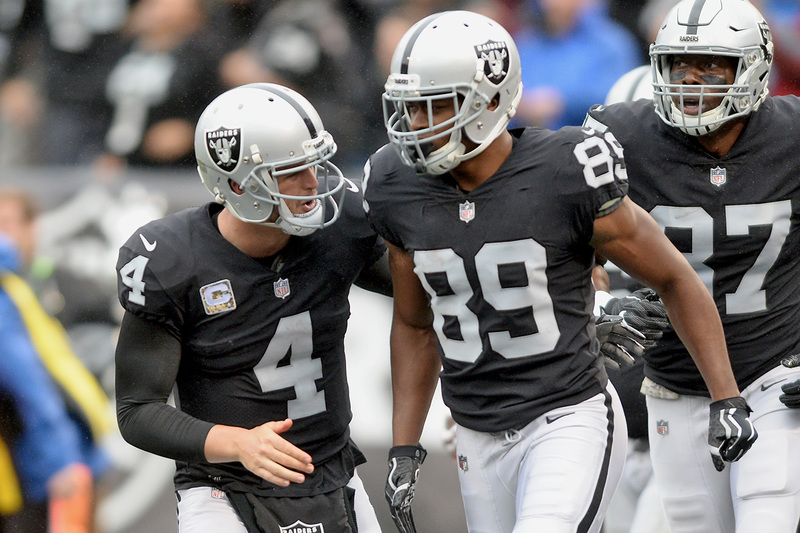 For all of their early-season dysfunction, the Raiders have wandered into a three-way tie for the AFC West lead. 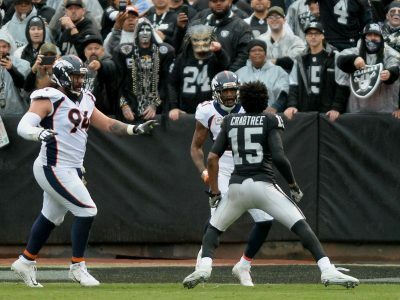 The Derek Carr-led offense overcame the loss of Michael Crabtree and Amari Cooper to sneak past a late push from Denver. 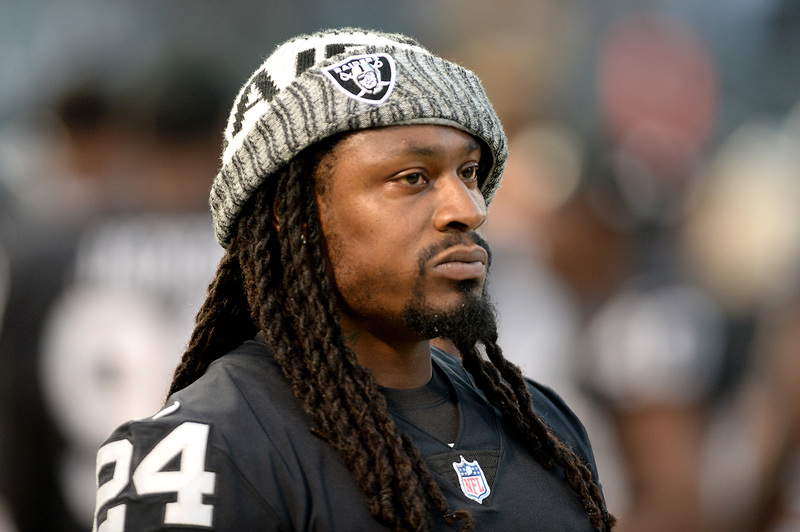 Oakland Tech may face punishment For allowing alum Marshawn Lynch to take part in practice this week. 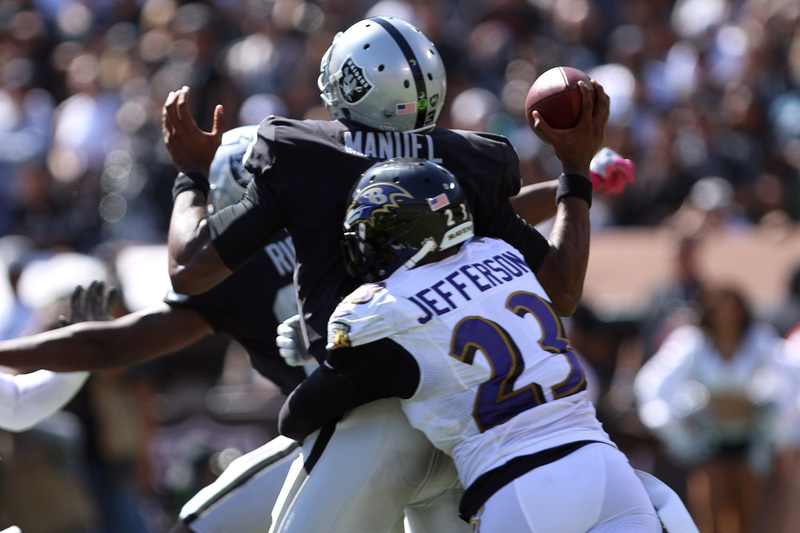 With Lynch suspended for Sunday's game against the Bills, Oakland will lean on Richard and Washington to shoulder the load. It took seven weeks but the explosive Amari Cooper has finally arrived in Oakland for the 2017 season. In the losing effort, E.J. Manuel flashed the athleticism that made him a 2013 first-round selection. 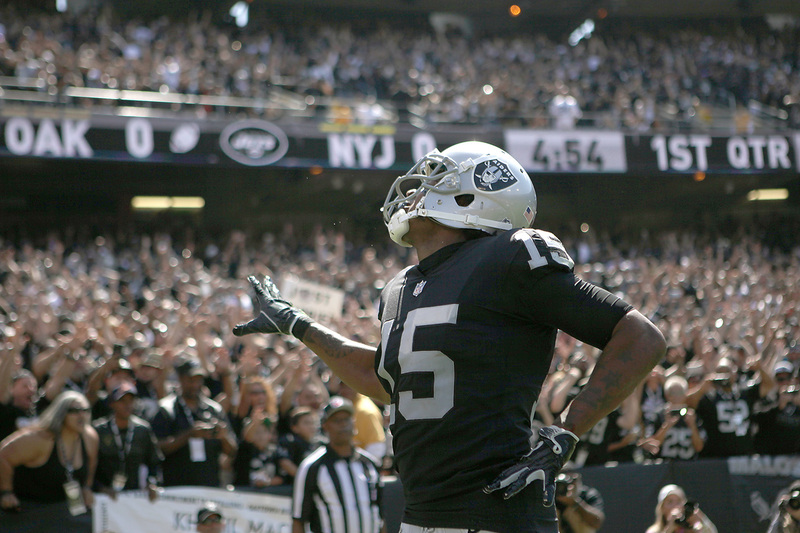 The Raiders' home-opening Week 2 win could hardly have gone any better. With just under 13 minutes left, to tunes courtesy of Keak Da Sneak, Marshawn Lynch began feeling himself. 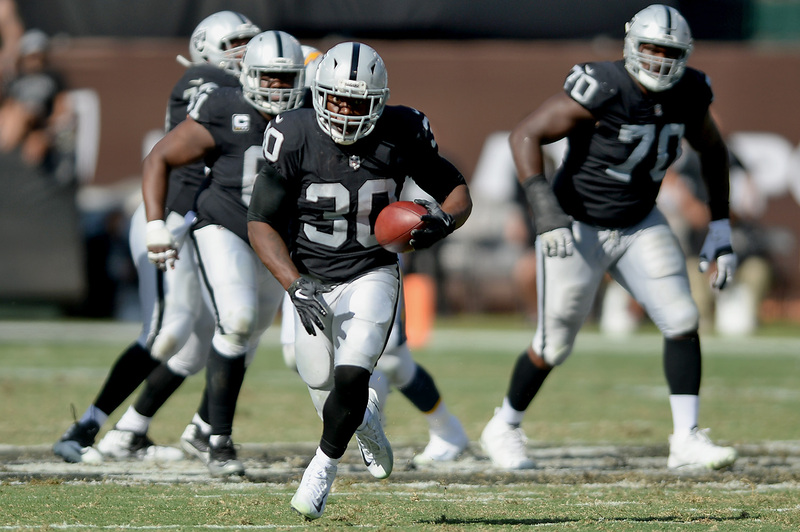 Behind Carr and Tavecchio, the Raiders overcame a continued lack of pass rush to squeak by the of the playoff hopeful Titans. 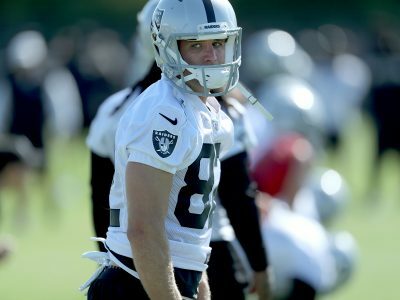 The Raiders head into Sunday's 2017 opener shouldering the greatest expectations the franchise has faced in more than a decade. 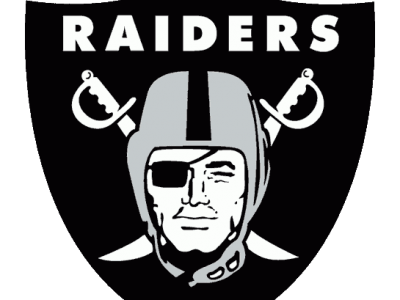 Eight of the Raiders' nine draft picks made the roster, with 7th-rounder Elijah Hood being the odd man out. 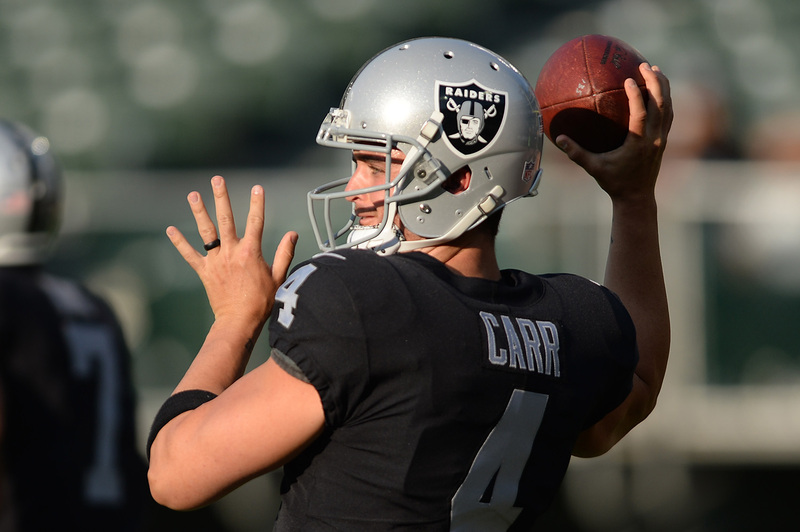 After eight long months, quarterback Derek Carr made his return to the field in the Raiders preseason Week 2 loss to the Rams. At least 29 players took part in some form of National Anthem protest during the second week of NFL preseason action. 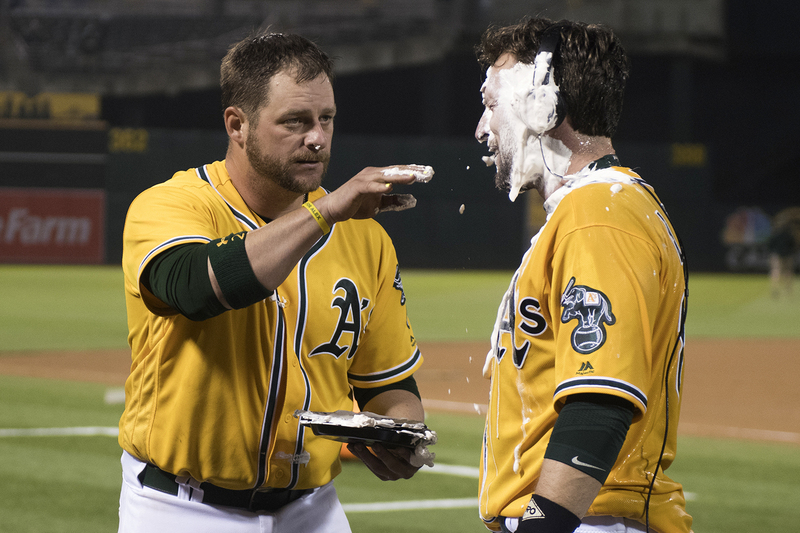 It started at Spring Training when a fan gave All-Star catcher Stephen Vogt a bag of the colorful bits of sugary bliss. 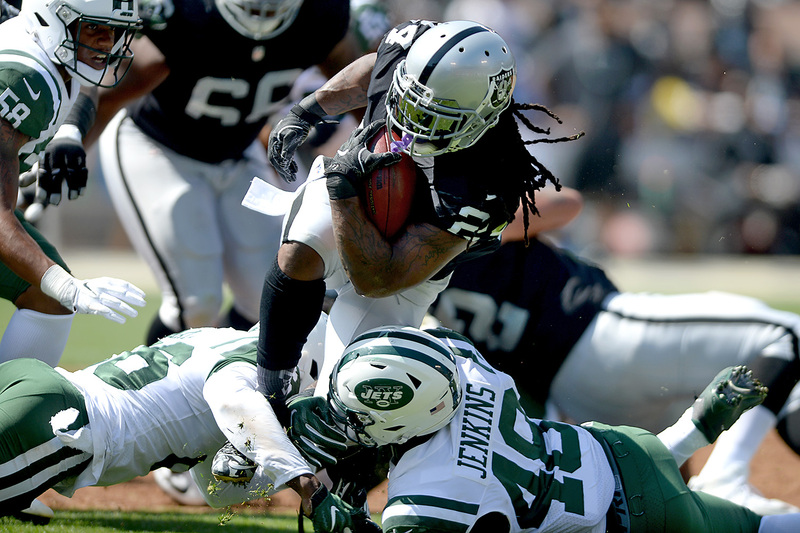 All-Pro running back Marshawn Lynch has always been 'bout that action.' And now, he's bringing that "bizzness" to The Town. NaVorro Bowman hasn't played in Seattle since he tore up his knee in January 2014. That changes Sunday. 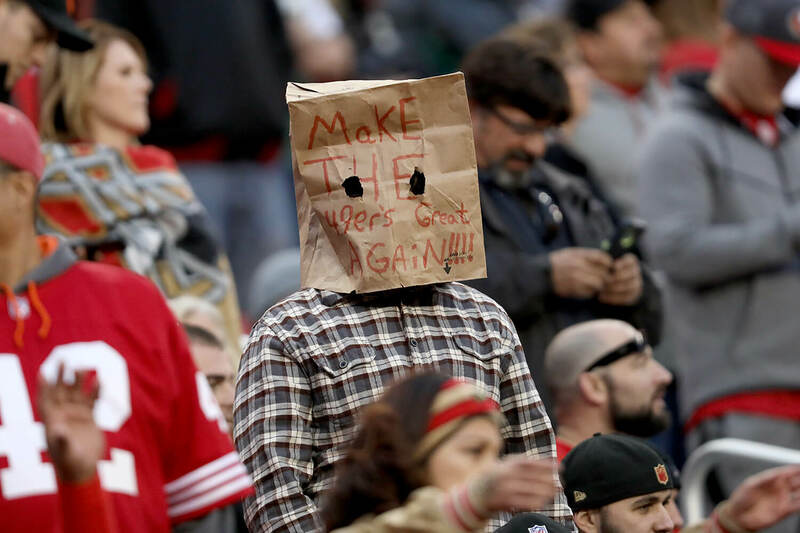 The Seahawks showed fans the rivalry between Seattle and San Francisco is one-sided and non-competitive. Thursday may be a match of NFC West bottom-dwellers, but they're still the Seattle Seahawks.